Surface Insulation Resistance (SIR), as defined by IPC, is the electrical resistance of an insulating material between a pair of contacts, conductors, or grounding devices that is determined under specified environmental and electrical conditions. In respect to the world of printed circuit boards (PCBs) and printed circuit assemblies (PCAs), SIR testing—also commonly referred to as Temperature Humidity Bias (THB) testing—is used to evaluate a product’s or a process’ ability to resist “failure” by means of current leakage or an electrical short (i.e., dendritic growth). SIR testing is typically performed under elevated temperature and humidity conditions—such as 85°C/85% RH and 40°C/90%—with periodic insulation resistance (IR) measurements obtained. The idea of SIR testing has progressed in recent years with the development of the IPC-B-52 assembly, mentioned in the table above. This assembly was developed under the guidance of the IPC 5-32b Task Group as a means for more in-depth SIR and Electrochemical Migration study. IPC-9201, known as the SIR Handbook, provides a significant amount of background for SIR testing while IPC-9202 was developed as a guide for using the IPC-B-52 test assembly. As spacing and part sizes on PCB’s decrease, the need to verify Conductive Anodic Filament (CAF), Surface Insulation Resistance (SIR) and Electrochemical Migration Resistance (ECM/EMR) have become increasingly necessary. These tests use high temperature/humidity environments in order to understand a product’s reliability by accelerating any failures that might happen. Electrical attributes are evaluated during or after accelerated environmental exposures to further ascertain the product’s performance under these severe conditions. Conductive Anodic Filament (CAF) formation is a well-studied phenomenon that is driven by chemical, humidity, voltage, and mechanical means. It is characterized by a sudden loss of insulation resistance that happens internally in the PCB. CAF dendrites can form between adjacent Plated Through Holes (PTH), or between a plated through hole and a line on the PCB. Plating chemistry, material consistency, damage from multiple soldering steps, and excessive voltages (beyond designed voltages) accelerate the onset of CAF. The mechanism of CAF is an electro-chemical transport of ions across an electrical potential between anode and cathode. Surface Insulation Resistance (SIR) testing is a methodology used to characterize the PCB manufacturing and electronics assembly process residues and their impact on reliability. It is usually performed on industry standard test board coupons containing patterns, typically interlocking comb test patterns designed for process testing purposes. The patterns are exposed to a high humidity environment which mobilizes any surface contaminates and reduces the insulation resistance of the test pattern. Implementing a new assembly process step or chemistry can be detrimental to end-product performance. The new IPC-9202 is designed to help validate and record the effects of new processes on the surface insulation resistance (SIR). Residues left on boards after the assembly process could cause contamination and corrosion that can affect the long-term reliability of the assembly. We can completely qualify and verify any new processes or changes to existing assemblies. Our tests for the new IPC-9202 standard utilize the IPC-B-52 test vehicle (coupon) – intended to be representative of the electronic circuits that are in your production. 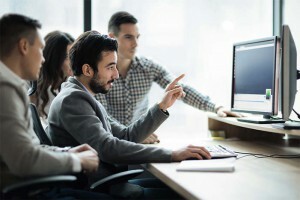 Industry best-practices, test methods and reporting through our active involvement and leadership, NTS’s team helped establish the standards, processes and test methods for IPC-9202 yielding both quantitative and qualitative data. NTS’s SIR / CAF and ECM testing will ensure your assemblies meet the new standards. 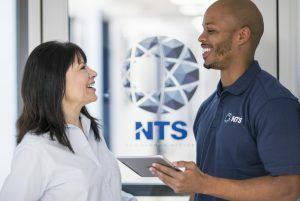 NTS is available to discuss our SIR processes and applicable documentation with current and prospective customers including Contract Manufacturers and OEMs. Electrochemical Migration Resistance (ECM/EMR) is the transport of surface materials caused by the gradual movement of the ions in a conductor due to the momentum transfer between conducting electrons and diffusing metal atoms. The effect is important in applications where high direct current densities are used, such as in microelectronics and related structures. As the structure size in electronics decreases, the practical significance of this effect increases. Electrochemical Migration decreases the reliability electronics by causing high resistance shorts of the circuitry. In the worst case it leads to the eventual loss of one or more connections and intermittent failure of the entire circuit. Since the reliability of interconnects is not only of great interest in the field of space travel and for military purposes but also with civilian applications such as anti-lock braking system of cars and telecommunications. NTS has over 22-years of experience with Environmental Simulation and Accelerated Life testing including CAF, SIR and ECM/EMR testing and can help you in understanding the reliability and performance of your product. NTS provides the fastest possible turnaround and highest level of technical support for testing your products. Utilizing the latest technology, NTS possesses the technical expertise to meet even your most demanding testing requirements and can perform testing to military and commercial applications such as the BELLCORE GR-78-CORE, specific customer standards and IPC test methods. The AUTO-SIR System measures insulation resistance, typically on test coupons, during artificially elevated temperature and humidity condition cycles. The goal of SIR, CAF and ECM testing is to catch dangerous propensities for failure mechanisms, such as unacceptable electrical leakage under humid conditions, corrosion or metal migration. NTS has all of the resources and experience necessary to discuss, develop, perform, and interpret SIR testing and its results.